Really big weekend. In-laws in town. 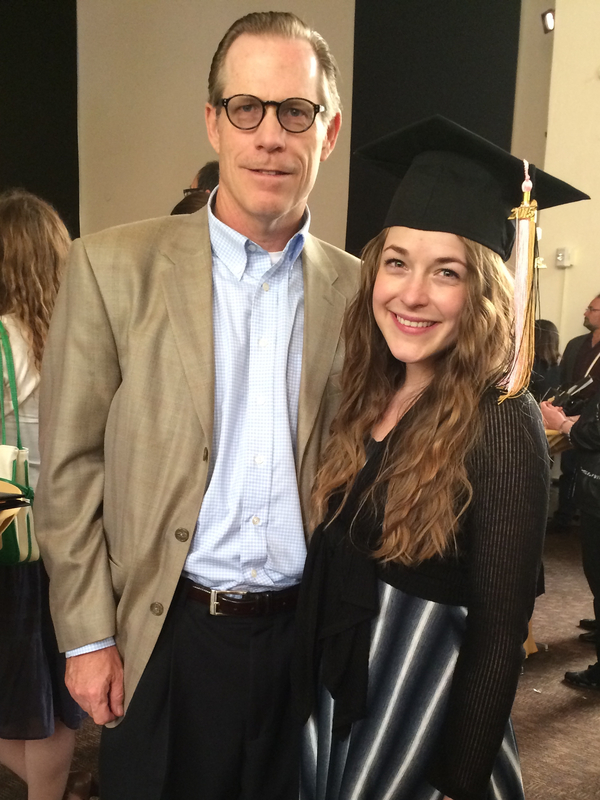 Brit graduated from CU Denver yesterday. Party today. 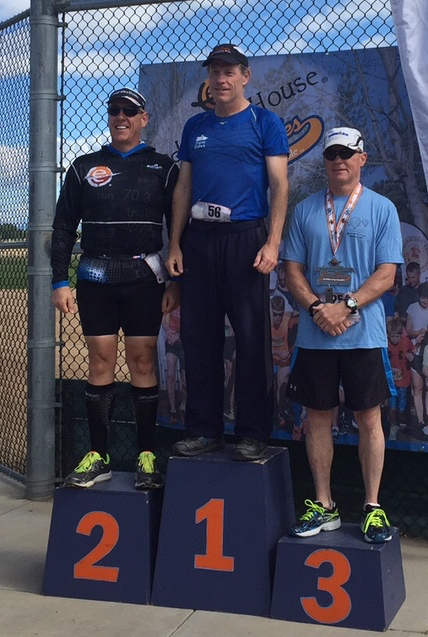 And, because this blog is all about me, I won my age division in a 5K this morning. This weekend is certainly all about Brittany. Karen and I are so proud of her. Kids grow up in college and Brit was no exception. She demonstrated strong intelligence, tenacity and work ethic. 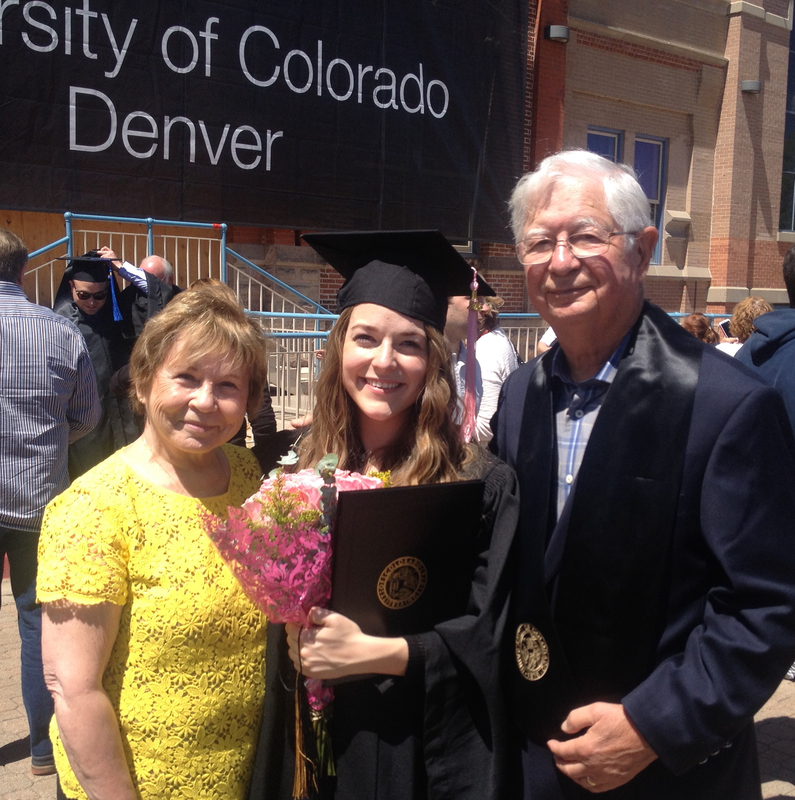 She worked her way through five years of college and graduated with high grades and zero debt. Her Papa started a college fund for her that paid her tuition for nine semesters, including her dorm expenses the first year. Brittany took over payments for her living expenses her second year with restaurant jobs and paid her final semester tuition herself from her salary teaching voice lessons at Wildflower. The really cool thing is that Brittany already has been working in a professional capacity for over a year at Wildflower, teaching voice lessons. With her classes complete, she can increase her hours. 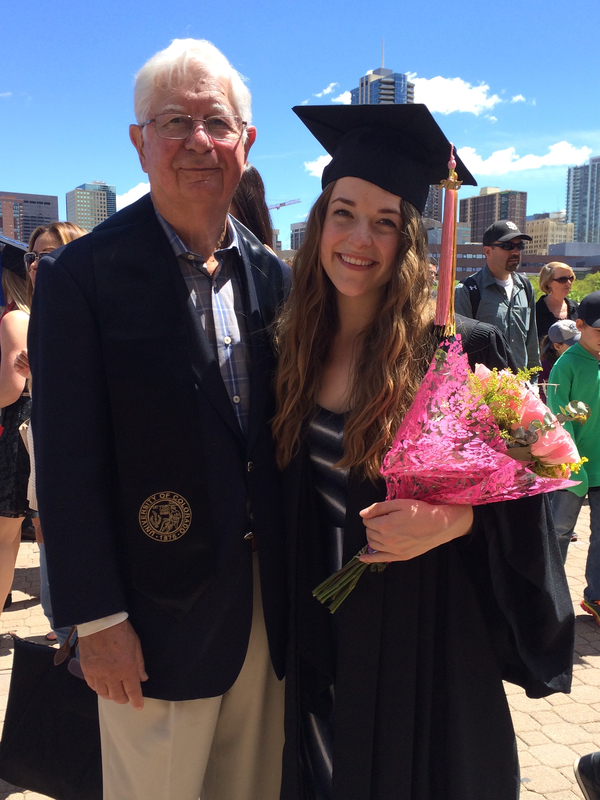 She’s pictured here with her Papa after gifting him with a stole of gratitude for all his support. My race this morning went about as well as I hoped. 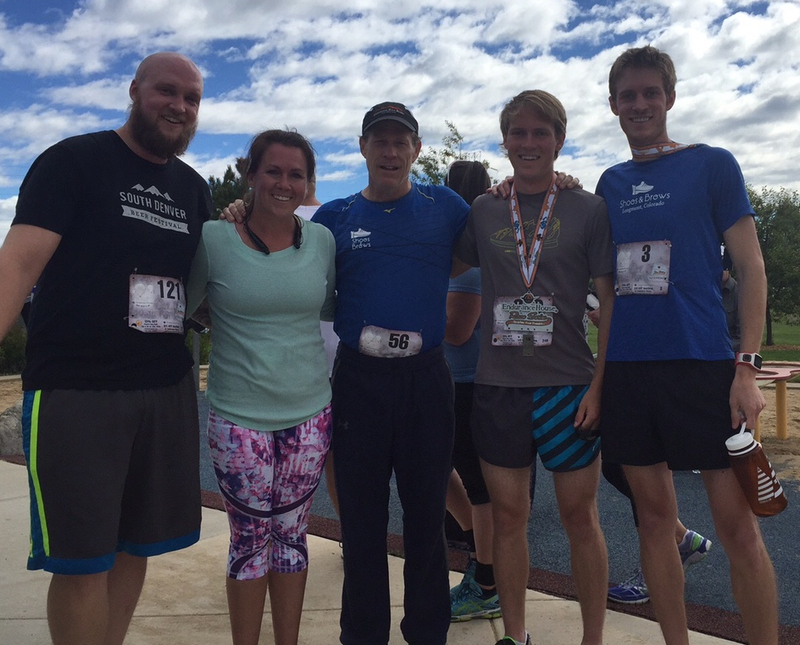 Karen admonished me for racing on such a busy weekend, but I would have run anyway. I wanted to get in a 5K that would set my expectations for my pace in next weekend’s Bolder Boulder 10K. The Erie 5K did just that. Most interesting to me are both my first mile and my overall pace. My overall pace is meaningful because I shouldn’t expect to run any faster for a 10K. I ran a 6:42 pace today, I think my second fastest 5K ever in 20:49. And I ran the first mile in 6:29, which is way too fast for me. I was breathing hard and slowed down to 6:58 for my second mile. This tells me that if I maintain about a 6:50 pace the first mile in the BB10K, I might be able to hold that as an average pace all six miles. I was able to recover this morning and return to a 6:40 pace for my third mile. 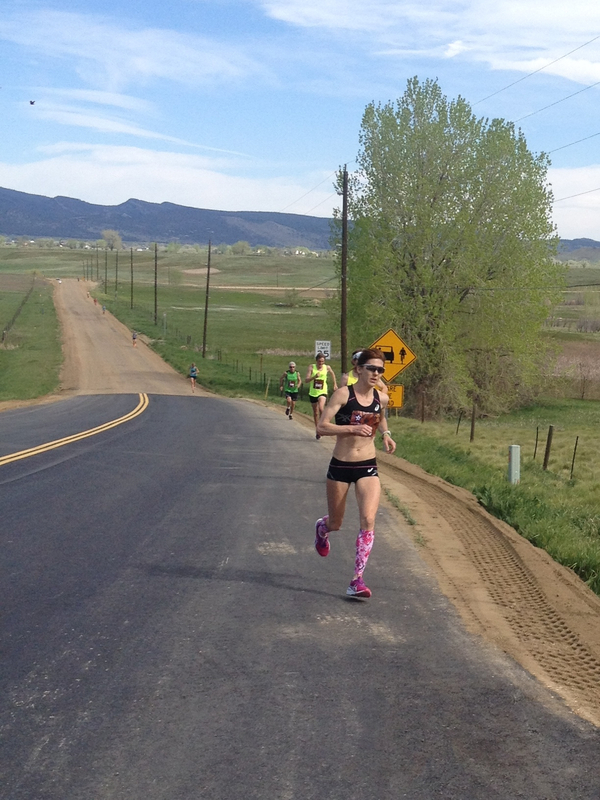 Recovery in the Bolder Boulder, after a too fast first mile, is harder because of the hills. Experience suggests I won’t be able to make up lost time until maybe the 4th or 5th mile. This weekend is far from over yet though. We still have a party for Brit at 2020 later this evening. And we have two more high school celebrations to attend next weekend before the race on Monday. And Brittany has to host a big performance with her students at the Boulder Creekfest next weekend too. I hope the summer slows down at some point. I have a relay in Snowmass in June. Ellie flies to Washington DC for a leadership event in July. And I hope to climb Long’s Peak with my neighbors in August. At some point, I need to finish planting my garden.